The young French hairdresser and makeup artist Jean Marchal came to Copenhagen in the middle of the 1700s, as part of a theatre troupe. 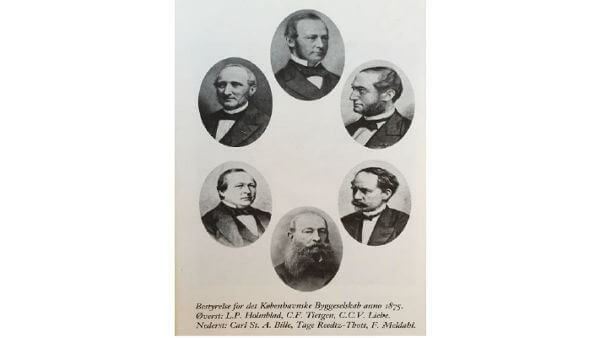 He was hired as a valet to Count Conrad Danneskiold Laurvig and settled in Copenhagen. Then he met the Royal Chef’s daughter, Maria Coppy and fell head over heels in love. The pair complimented each other perfectly – she was a genius at cooking while he knew everything there was to know about working for the aristocracy. This match-made-in-Copenhagen was the beginning of the d’Angleterre’s history. 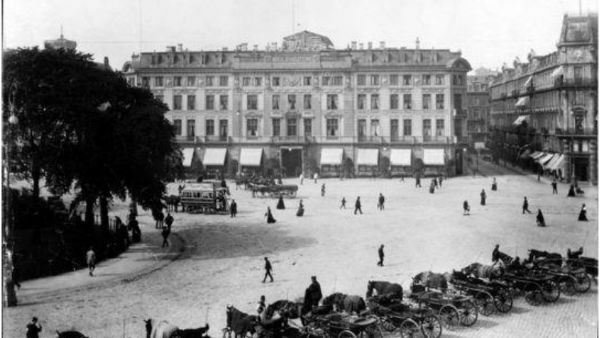 Mr. and Mrs. Marchal settled down by the lakes of Copenhagen and opened a restaurant “The Strong Man’s Garden.” They then moved their restaurant to Kongens Nytorv (King’s New Square) at the corner of Vingårdstræde in the heart of Copenhagen, and added rooms for guests. And it is from this year that we mark the official founding of the d’Angleterre - although that name wasn’t added until 30 years later. Tragically, Maria Marchal died at only 32 years old. Two years later, Jean Marchal remarried but also died young, aged 44. 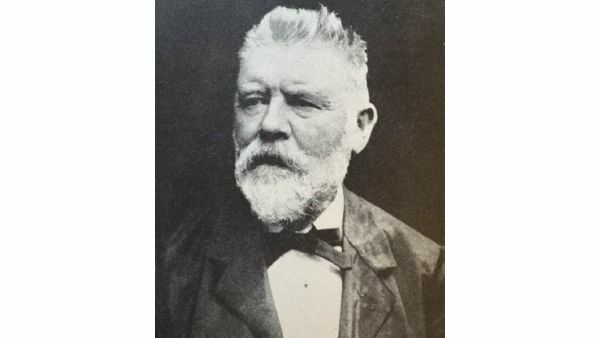 His widow ran the hotel for 11 years before selling it to the visionary restauranteur Gottfried Rau who was the habitual host of meetings of “The English Club” in Copenhagen. 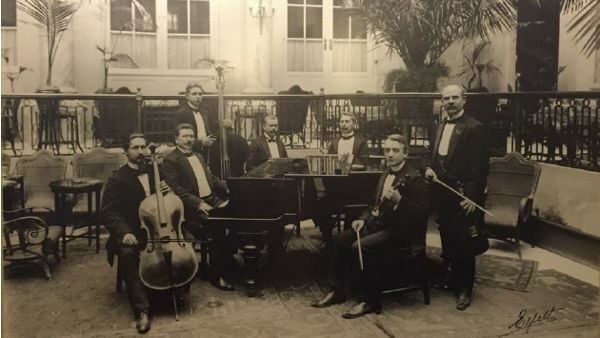 The club’s title was soon adopted as the identification of the new property, and because French was the language of diplomacy, he renamed the building Hotel d’Angleterre, French for The England Hotel. The Great Copenhagen Fire of 1795 burned the hotel down to the ground and Gottfried Rau believed that it was too costly to rebuild it. 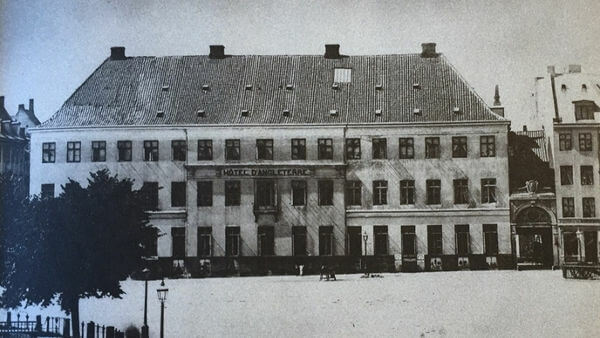 Instead, he converted the nearby Gramske Gård into the new Hotel d’Angleterre – where it stands to this day. 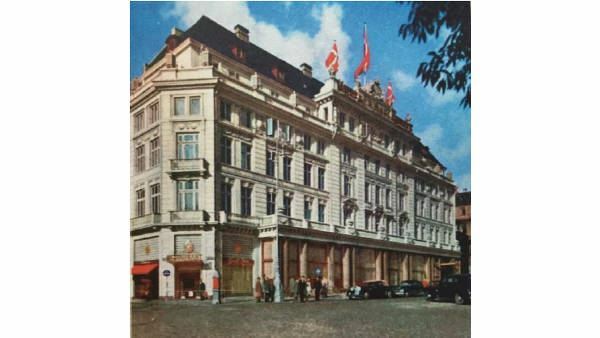 Hotel d’Angleterre changed owners – bought by “Det Kjøbenhavnske Byggeselskab,” headed by magnate C. F. Tietgen and the founder of Carlsberg, I. C. Jacobsen. They had grand visions and plans, and declared them ready to challenge other European luxury hotels by refurbishing Hotel d’Angleterre. 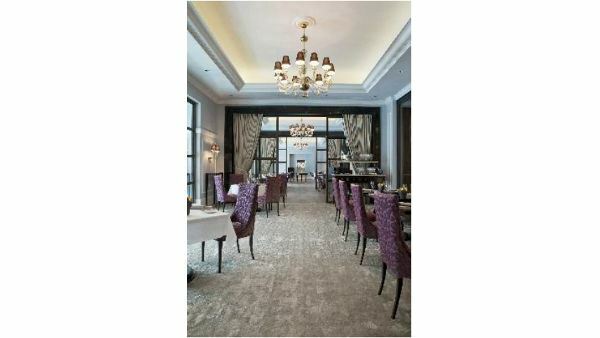 The d’Angleterre reopened on 29th of April after an extensive renovation. 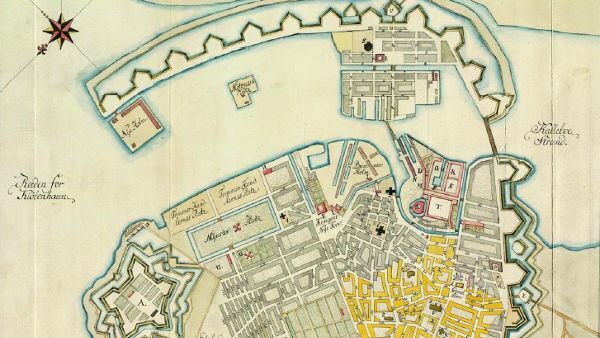 The main building was extended by 10 meters, a new wing along Hovedvagtsgade was added, as was “The White Hall” (now known as the Louis XVI ballroom). The wealthy and powerful son of brewer I. C. Jacobsen, Carl Jacobsen, bought the d’Angleterre and owned it for ten years. The elegant Palm Court was established with palms, marble pillars and beautiful sculptures. Soon, the impressive indoor garden became “the place to be” in Copenhagen. 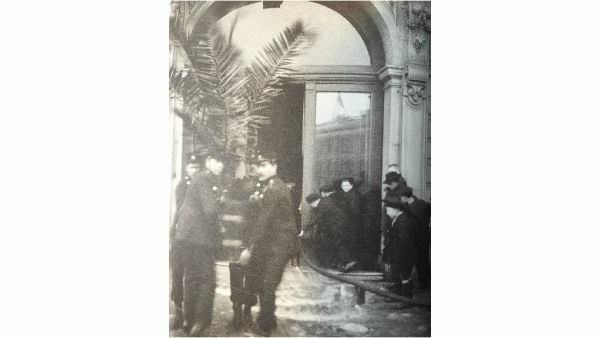 Early March 4th, the hotel’s night porter noticed smoke in the vestibule. He alerted the fire brigade and more than 100 guests were evacuated. 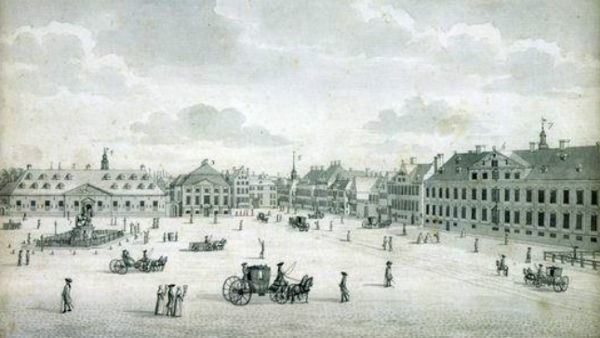 The main building of d’Angleterre facing the Kongens Nytorv (King’s New Square) survived the fire but the side street wings were burned to the ground. The d’Angleterre closed down for renovation. The First World War was a time of glumness for the d’Angleterre. Not only did the curfew result in limitations in society events, but there was the specter of aristocratic Russian refugees from the Revolution, living the high life at the d’Angleterre – until their rubles ran out. 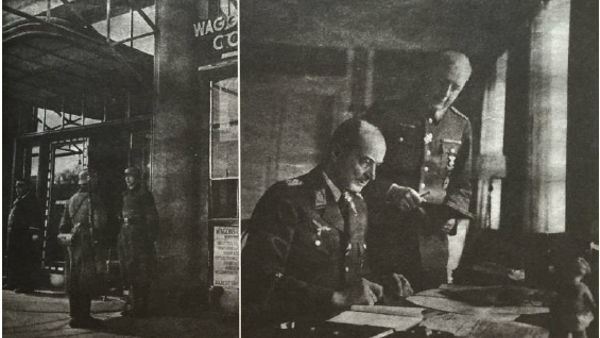 On April 10th the Germans occupied Denmark, and as they were to do throughout Europe, selected the grandest hotels for their headquarters. 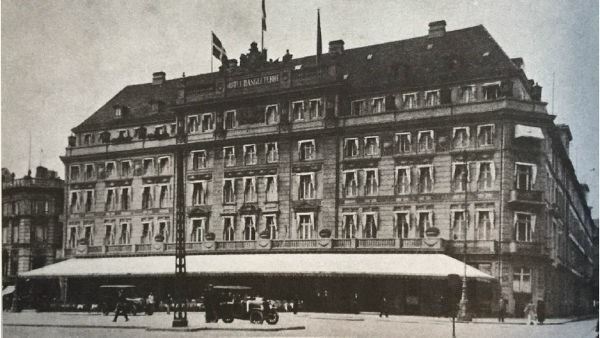 The German High Command chose the Hotel d’Angleterre as its residential headquarters, and guards now flanked the hotel’s main entrance. 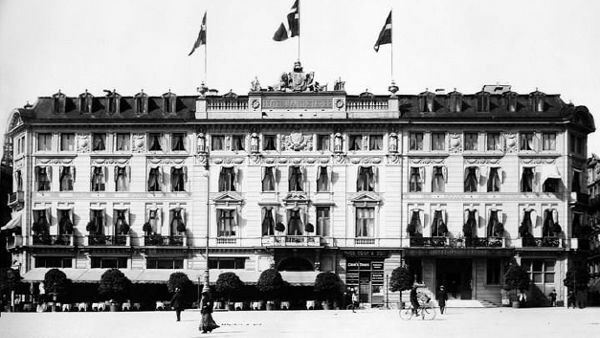 The Danes were not pleased with the German occupation of neither country nor hotel, and chose to boycott the hotel. Liberation was joyous but the war had taken its toll on the Hotel d’Angleterre, and more than a coat of paint was needed to return it to its former glory. 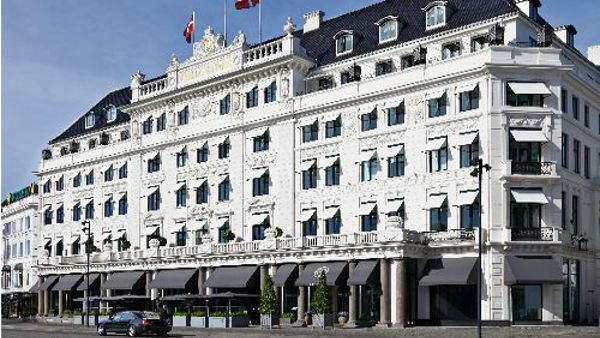 In November 1945, the management was given the go-ahead by the owners to begin restoration – one simply could not imagine Copenhagen without the grandeur of the Hotel d’Angleterre. Ten years later the refurbishment had still not been completed yet, nevertheless it was an important year: the hotel celebrated its Bicentennial in 1955. The hotel went through a succession owners as post-war tourism and business brought many thousands of guests to the d’Angleterre. 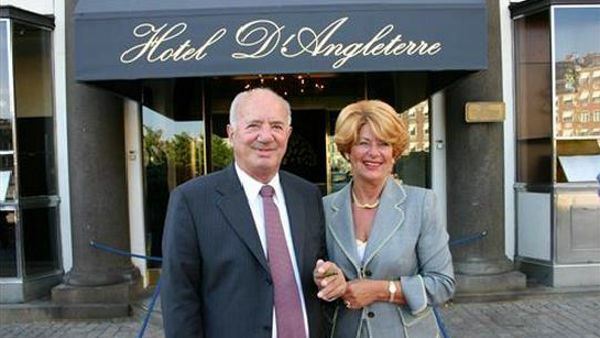 But by the end of the 1980's and early 1990's, times were hard for the hotel and catering industry in Denmark; several of the country’s hotels closed their doors and even the venerable d’Angleterre was not immune to the crisis.1993: In December 1993, the hotel was bought by The Remmen Foundation lead by Mr. and Mrs. Remmen. 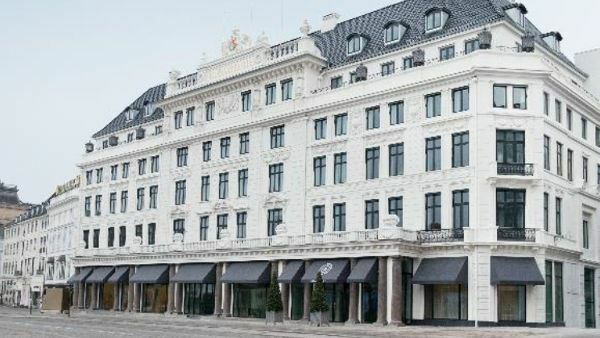 The vision and optimism of the new owners was far more brilliant than the spirit of that time: the White Lady should once again emerge as one of the most exclusive hotels in the world – and as the most prestigious hotel not only in Copenhagen but in all of Scandinavia. Christmas of 1995 marked the beginning of a new tradition in the history of d’Angleterre. 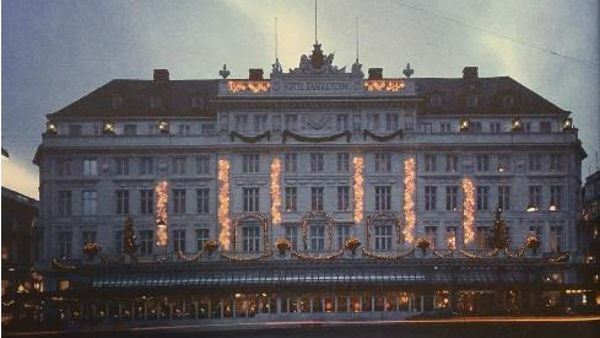 Thousands of small lights were installed to blanket the front of the hotel, making Copenhagen’s most prominent Christmas landmark. 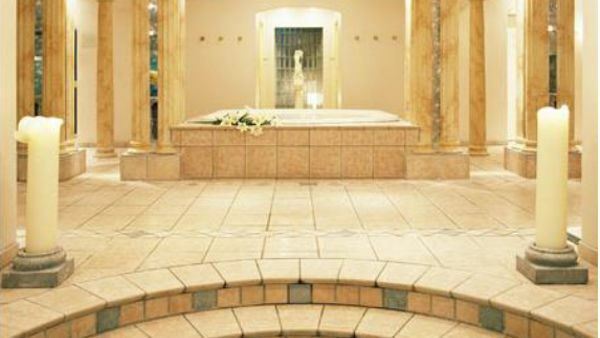 The most exclusive spa and fitness center in Copenhagen was established at the d’Angleterre. 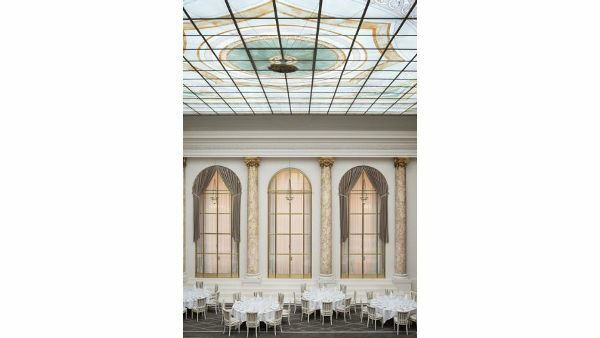 In 2001 on the occasion of Henning Remmen’s 70th birthday and his 25th anniversary in the hotel industry, he commissioned Albano Poli, one of the world’s most famous glass artists to give the Palm Court an impressive mosaic roof. More than hundred thousand brightly colored glass mosaics and 30 tons of materials were transported to Denmark to make the biggest mosaic roof in Northern Europe. In the center circle, Albano Poli featured the beautiful crest of Mrs. Remmen’s family dating back to 1212. The d’Angleterre reopened on 1st of May as a revitalized grand palace balancing legacy and style with intuitive and tailored services. d’Angleterre’s Restaurant Marchal received a Michelin star in March 2014 after less than one year of operation.